World Young Horse Champion of very light type. 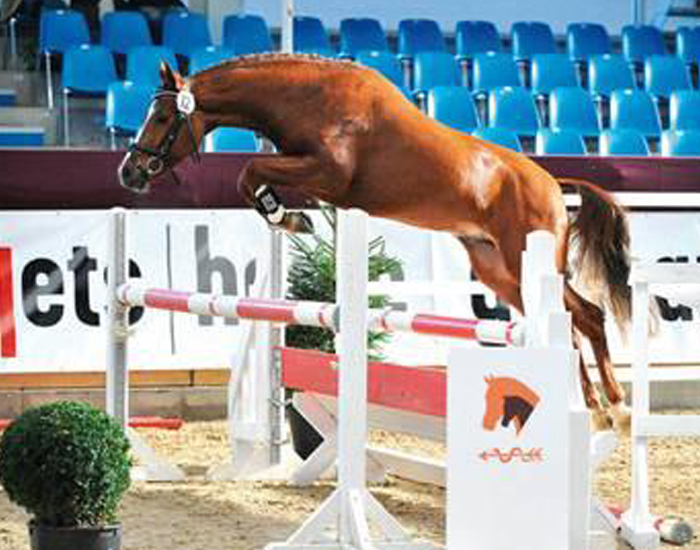 This extremely sporty show jumper is an interesting pedigree alternative. 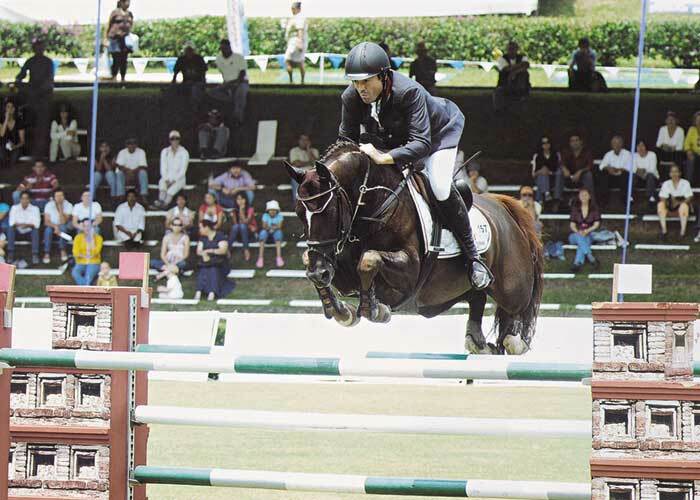 After winning the young horse world championships for 5 yo in 2005, Quicksilber swiftly moved on to the 1.50 level and aged 7, he was placed at CSI* level with Manuel Fernandez Saro. His quick reactions, ideal bascule and scopey jump earned him the title Res Champion at the Brandenburg approvals. Impressing with his high quality gaits, he was proclaimed the superior winner of his 30 day test and after winning many young horse classes he made it to the finals of the German young horse championships. 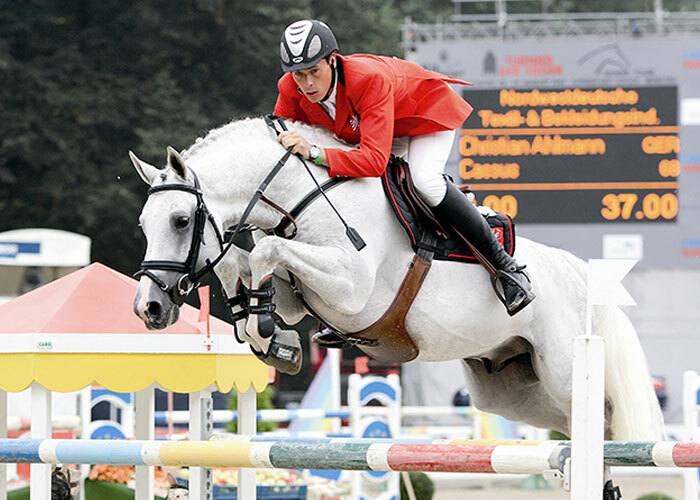 Quicksilber’s sire Quattro was himself successful on an international level and has produced not only top show jumpers up to Olympic level, but also particularly good dressage horses. The dam’s sire Restorator, who is well remembered as an international show jumper, achieved much success in East Germany. Quicksilber passes his modern light type on to his progeny: an eye-catching athletic conformation. A colt from his 2007 crop reached the finals of the German foal championships, making him one of the top 10 foals in the country. 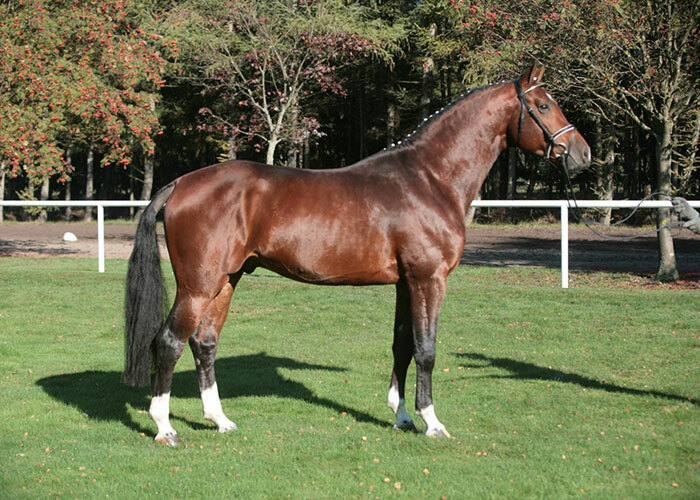 In 2006 Quicksilber was the producer of the winning foal in Mecklenburg. Approved: Oldenburg, O-L International, Rhineland, Westphalia, Mecklenburg, Berl.-Brand., South German Assoc, France.